A truly unique new band has seen the surface. 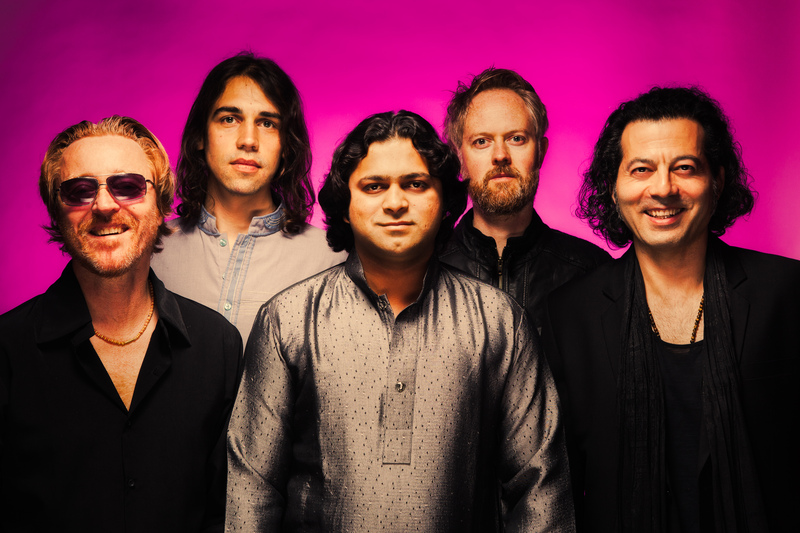 What started out as a cultural collaboration between Pakistan and Denmark, has turned into a fireball of a spiritual rock band. 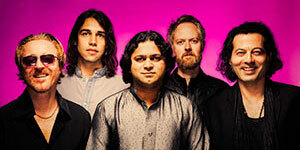 The band has created a unit to spread the Sufi message of love across all religious, political and physical borders. ROCQAWALI mixes the pakistani/Indian Sufi music of Qawali with a western back drop of Rock´n´roll, in a way that has not really been heard before. A more than a 1000 year old trance tradition that whirls this age old eastern love songs for God, into a western Rock tradition. Ejaz Sher Ali, The pakistani Sufi singer of the band, is the young, and uprising star-to-be, son of one of Pakistan´s oldest music families – the legendary qawals Meher Ali & Sher Ali, whom by many Pakistan´s are regarded to be keepers of the flame after the late legend of Nusrat Fateh Ali Khan. Ejaz has since early childhood sat next to his father in this group and has the real sufi culture in his blood and his voice. The four Danish members of the band are all very experienced musicians in almost every line of the field. From having international success with film-scoring, to being former long term members of some of the premier indie acts in Denmark, to producing a long line of other danish artists and even to score international theatre-shows. The ROCQAWALI album was recorded over just 2 days in Denmark, in the old fashioned way of recording everyone, playing and singing in the same room at the same time, and with hardly no over dubs done, after wise. Led Zeppelin, Rolling Stones, Daniel Lanois and perhaps even a glimpse of The Doors, now and then. All the lyrics may be written and sung in urdu and punjabi, but even as a western listener you can still easily feel the love, all the passion and the peace of mind comming strongly through.